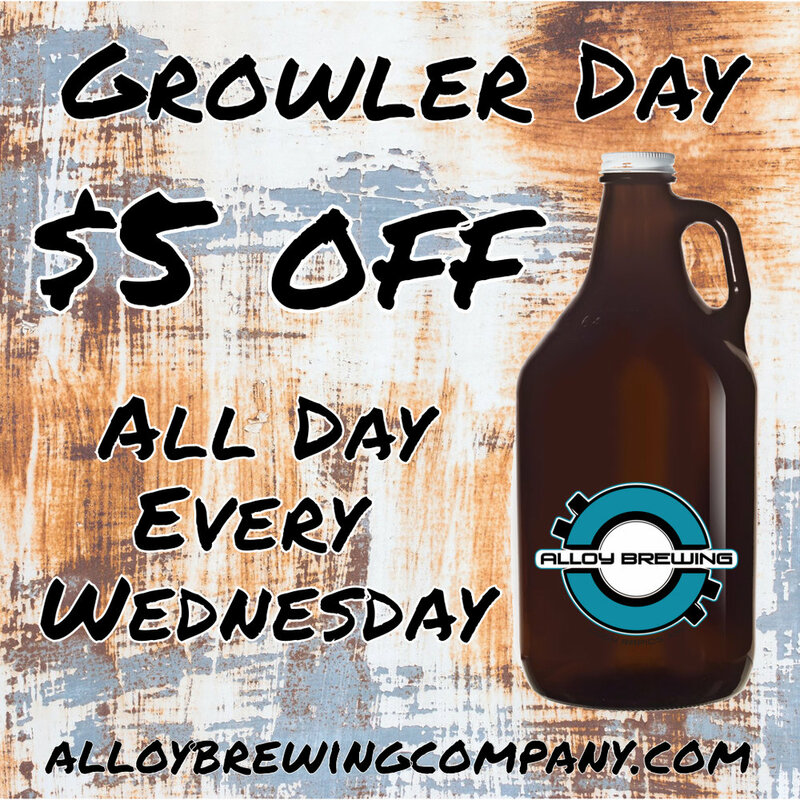 Welcome to Wednesday, which means growlers are $5 off, all day long. "Hump day" is the new "Growler day" at Alloy. Alloy Brewing Company All rights reserved.